Young Bull at Mills Record Company, December 2016. Photo by Aaron Rhodes. There's no use arguing: Young Bull packs a heavier punch than any other band to emerge from Lawrence, Kansas in the last five years. 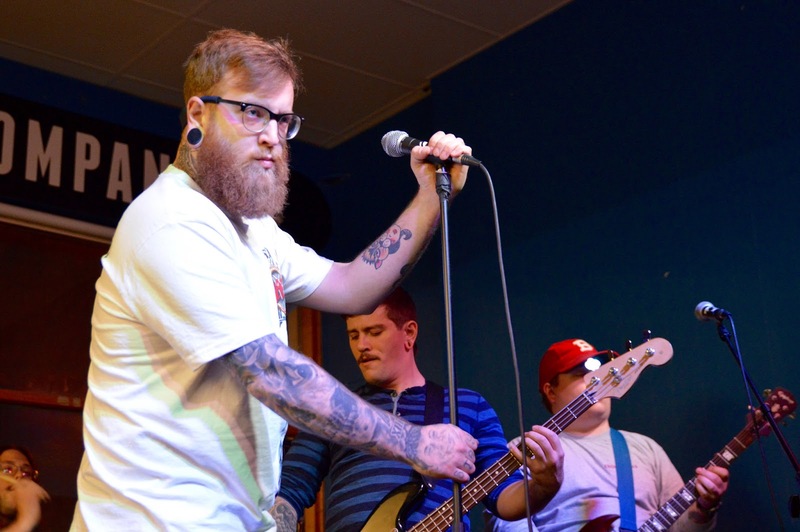 Home to countless indie and psych bands -- and a punk band or two -- Young Bull stepped in three years ago to fill a gaping, heavy metal-sized void in the college town's scene. A follow-up to their 2015 demo was finally announced at the beginning of this year, and upon delivery, their debut LP has proven to be worth the wait. It was clear on the demo that Young Bull was a bit different from other Midwestern metal bands, but "Midnight Climax" confirms that it is its own beast entirely. This beast is comprised largely of speeding, Motörhead-style rhythms and debaucherous lyrical themes that Lemmy and his crew would have approved of as well. In between these breakneck blasts come grooving, stoner metal breakdowns, which are executed with exceptionally rich guitar and bass textures. Vocalist Treet Ward's throaty cries don't falter once. While it's possible that another outfit of miscreants could stumble across such a potent combination of sounds and styles as Young Bull has here, producer Justin Mantooth has set these songs to tape in such a way that'd be tough for any such group to match. From majestic, doomy opener ("Purple Pain") to punk rock, party-pleasing closer ("Chainwhipped"), "Midnight Climax" proves that no local metalhead's tattered, denim vest is complete without a Young Bull patch. Stream/download "Midnight Climax" below, or buy a physical copy from The Company or your local record store.